Athletes do much to prevent Anterior Cruciate Ligament (ACL) injuries, however, in some sports such injuries are unavoidable. 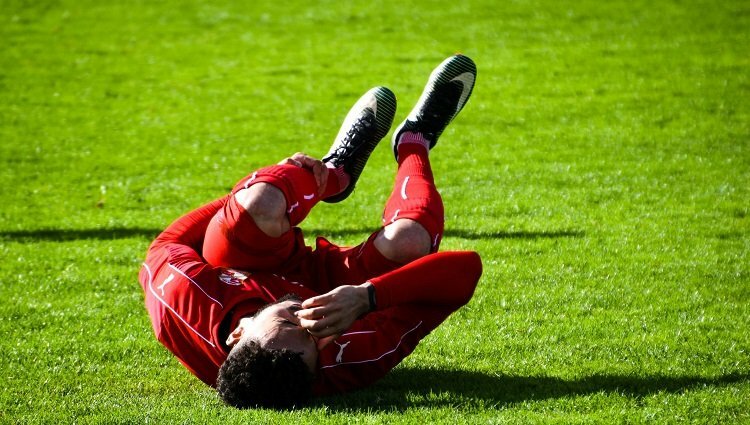 We have previously discussed and illustrated on The Health Science Journal that knee injuries, specifically ACL tears, are among the most frequent sports injuries. Non-contact injuries are the most common, as they happen due to a sudden change of direction, an abrupt stop, or landing poorly after a jump. Moreover, compared to male athletes, women are at an even greater risk of ACL injuries, as they are up to nine times more susceptible, in part due to physiology and biomechanics. Professional sports have introduced an entirely new dynamic to sports medicine and injury prevention programs. There is a significant risk inherent in professional sports, where the high speed and sheer intensity of the action is a major contributing factor to injuries. Ladbrokes in their feature on famous sports injuries note that injuries are a major hazard for all professional athletes. As a result, research has repeatedly shown that a properly guided and multi-faceted approach is required to mitigate the risk of ACL injuries in athletes, primarily females. The following list looks at 7 effective ways in which athletes can mitigate the risk of ACL injuries. The retraining of the brain and proprioceptive system, or what is known as preprogramming, to adopt safer movement patterns can help reduce the risk of injury during sudden and unexpected movements. The Journal of Pediatrics cites in their study on ACL injuries that although ACL tears often happen too quickly for reflexive muscular compensation, the risk of ACL injury can be reduced with sufficient neuromuscular control and knee stability, which help to reduce oblique displacement in the knee. Exercises can involve repetitive plyometric and balance training specific to the athlete’s sport. The same study concluded that while balance training alone was not effective enough to prevent injuries, the most effective programs included multi-faceted approaches of strength, balance and various plyometric training. ACL injury reduction was found to be greatest in soccer players, most notably females in their mid-teens. This suggests that injury prevention training should start at an early age where the intensity of sports is still low and the athlete is still developing their techniques. Therefore, the programming of the brain through neuromuscular training early on can help mitigate the physiological and neuromuscular risks factors that become evident later in life. One of the most effective ways to reduce the risk of ACL tears is by strengthening the muscles that support the knee joints as well as the muscles in the hips and thighs. Strengthening the quadriceps, hamstring and gluteal muscles is also an important aspect as lower hamstring, quadricep and glute strength can play a part in ACL injury. Creating an equilibrium between the muscles in the quadriceps, glutes and hamstrings can reduce the incidence of injury reports the Mayo Clinic. It will help to control the knee from the hip joint as well as decrease forward movement of the tibia in relation to the femur. Plyometric strength training exercises can help in this regard by developing strength and speed. As the muscle starts in the stretched position and rapidly contracts with maximum force, the quick combination of concentric and eccentric muscle contractions when performing these exercises in the proper manner leads to increased muscle power. Vertical jumps, scissor jumps and single leg hops aid in building and strengthening the muscle groups in the legs and hips. This ancient method has been proven to benefit the body and help prevent injury. The therapeutic behavior of yoga restores balance throughout the body, focusing not only on relaxing the mind but also the joints and muscles. Yoga specifically helps strengthen the muscles surrounding the knee joint and promotes flow of the synovial fluid in the knee, which is essential in maintaining joint health. Athletes supplement their training regime with yoga to improve focus, strength and reduce stress. Lionel Messi, Christiano Ronaldo, Lebron James and Blake Griffin, are four major soccer and basketball professional athletes who practice yoga on a regular basis for injury prevention. Apart from the physical therapeutic benefits, the increased focus and reduced stress allows them to better focus on their technique, thus, helping them reduce the incidence of injury in their respective sports. With soccer and basketball players at increased risk of ACL injuries, yoga is a highly beneficial preventative method. A critical aspect of ACL and general injury prevention is the proper stretching of various muscle groups to increase mobility. Stretching contributes to muscle elasticity, giving them greater mobility and agility. When it comes to mobility, regarding ACL injury prevention, the two joints which must have optimal mobility are the talocrural joint of the ankle and femoroacetabular joint of the hip. Dorsiflexion mobility is imperative to absorb the force from landing or cutting, thus reducing the strain on the knee. Hip mobility is also necessary as it activates the gluteus and hamstring muscles in order to decreases the oblique displacement of the knee. Arthroscopy: The Journal of Arthroscopic & Related Surgery published a study that describes an inverse relationship whereby the risk of ACL injury increases with restricted hip internal rotation and decreases with greater hip internal rotation. Therefore, by having the requisite mobility in the hip and the adequate ranges of motion, the brain and central nervous system can make use of them and help prevent injury. Another key component in the prevention of ACL injuries is learning to keep the body properly aligned during movements and practicing the correct technique specific to the sport. By developing body awareness and emphasizing quality over quantity, an athlete is able to mitigate many of the factors associated with injury. When jumping or running the knees should be directly over the feet and never collapsed internally in order to decrease anterior pelvic tilt. The chest should be high and directly over the knees and the upper body bent from the hips. Proper jumping technique, for example, is essential in sports such as basketball, soccer and football. Athletes using their quadriceps to shift their weight forward by squatting and jumping put tremendous pressure on the ACL. Exercises that focus on activating gluteal activity, such as hip bridges with isometric hip abduction using elastic resistance, can promote proper form. This will also minimize anterior pelvic tilt, which can put increased pressure on the ACL. On average, the rate of non-contact ACL injuries in females is between 70 to 80 percent and is 2 to 9 times more likely to happen than in males. Part of the reason is female physiology; women’s wider hips increase the angle at which the femur and the tibia meet, which can place greater stress on the ACL. Moreover, the intercondylar notch, at the bottom of the femur, where it meets the knee is smaller in females, which could restrict the movement of the ACL. Biomechanics is another factor; because of the female body’s muscle makeup, when jumping or cutting females take longer to generate maximum hamstring torque and activate the quadriceps first, rather than the hamstring, as opposed to their male counterparts cites the journal of Current Reviews in Musculoskeletal Medicine. These factors could predispose females to ACL injury. 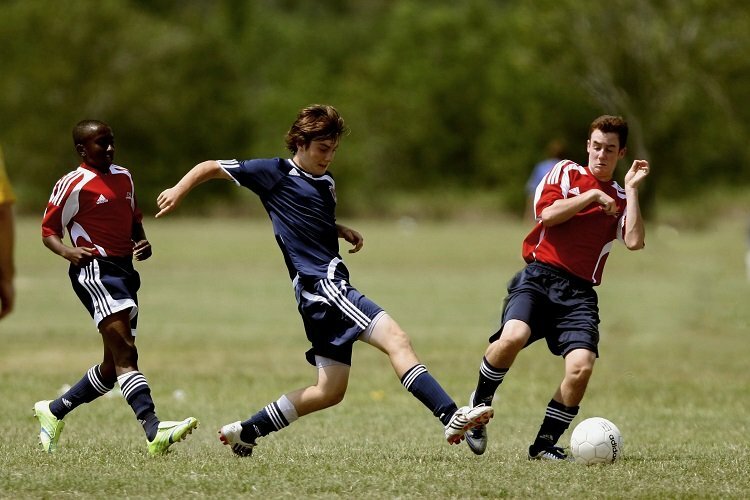 However, as with any athlete, prevention programs initiated prior to the onset of puberty, to strengthen knee joints and promote correct neuromuscular and biomechanical patterns, are the most effective at reducing the risks of ACL injury. Knowing the body’s limits is important as overtraining and exhaustion can contribute to the risk of ACL injury substantially. An exhausted mind and body are much less effective at dealing with the high demands of actively preventing injury during intense training or game situations. Cooling down after any strenuous exercise regimen is also imperative to body and muscle recovery; the muscles which have worked very hard throughout a training session, need to elongate and recover their elasticity to help prevent tearing. In this respect rest and consumption of water are essential in muscle recovery as they help in synthesizing new muscle tissue as well as helping in repair damaged tissue. Overtraining and exhaustion have been associated with compromised technique and increased rate of injury. In a previous article here on The Health Science Journal on building muscle we mentioned that proper rest and sleep helps build stronger muscles. In turn, this allows the athlete to better mitigate the risk of ACL injury.